The results for the stress tests are coming in and unfortunately Bank of America and Citigroup are the first to be singled out. At the same time, the world is growing more and more fearful about the Swine flu and I think this is an overreaction. Yesterday, I wrote about how the impact of the Swine flu on the U.S. dollar should be limited based upon the reaction of the G10 currencies to the Avian Flu and SARS. However I did not rule out further dollar strength but only because of problems related to the global financial crisis and not the swine flu. The stress tests on banks have caused a lot of jitters in the financial markets even before the outcomes were announced. Initially many investors believed that the tests were nothing more than a political move by the Obama Administration to boost investor confidence, with nearly all of the banks expected to pass the tests with flying colors. Instead the Obama Administration is not playing any games. They realize that smoke and mirrors no longer work because banks need to be financially sound in order to have a lasting recovery in the economy. 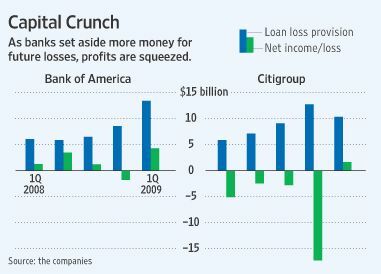 Expect more banks to fall under the knife in coming days but just because the regulators believe that BoA and Citi need to raise more capital doesn’t mean that they are insolvent. The Obama Administration has made it clear that they will not allow any of the top 19 banks to fail. The banks have until the middle of the week to refute the findings and deliver a response. They then have 6 months to raise capital either from the investors or the U.S. government. The results of the stress tests will continue to hang over the market this week, limiting any meaningful correction in the U.S. dollar.